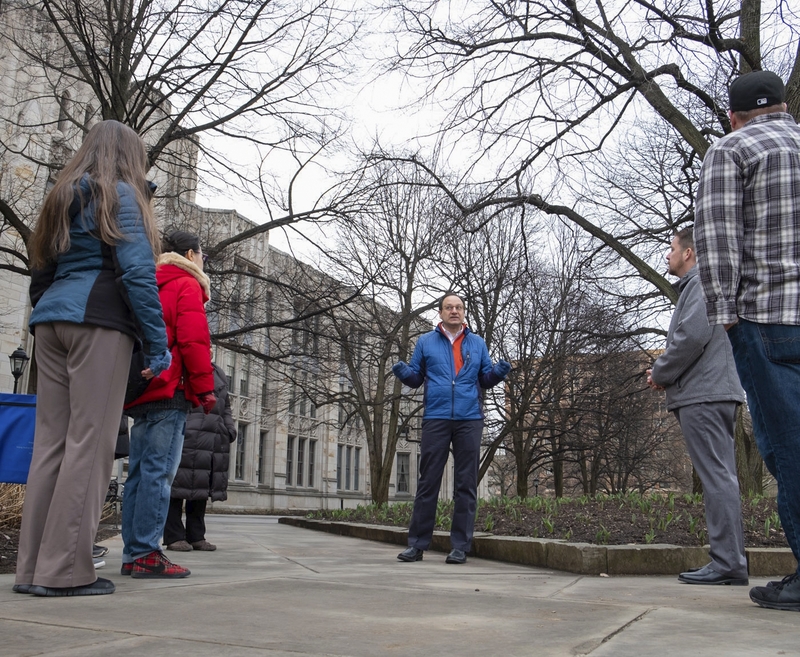 A University collaboration explores campus architecture, open spaces and experiential learning in a cross-discipline "walkshop" that encourages participants to explore their physical surroundings. Read more and see photos from the tour. Training the next generation of professional scholars is a vital part of the academic mission of the University. 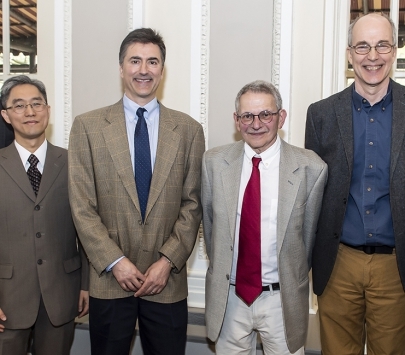 Four faculty members were honored for their outstanding mentorship at a reception hosted by the Office of the Provost. Bring unused, expired or unwanted medication to the University Pharmacy for safe disposal. The Office of University Communications is seeking input for student, faculty, staff and alumni opinions on the University’s institutional marks and colors via an online survey. On Tuesday, May 14, join Staff Council for the annual Staff Spring Assembly, featuring an afternoon of lunch, breakout sessions and networking opportunities. A special event celebrating the projects and events sponsored by the Year of PittGlobal will also feature speakers and a tour of posters.